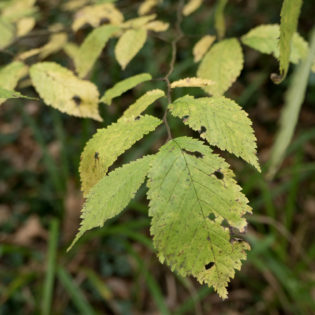 Wych Elm has survived Dutch Elm disease by regenerating from seeds in the ground. There are many examples in the local woodlands. 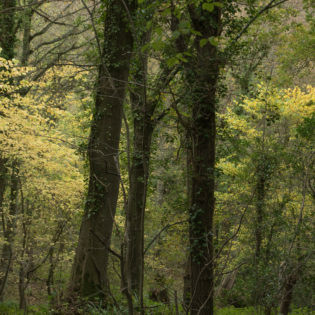 The buttery yellow colour of the Elm stands out in the Autumn wood. The Elm trees have achieved around 12 feet in growth compared with the full height of other mature trees.